Binding is a great way to create a clean and durable finish for your knit garments. You can use it on sleeve openings, necklines, hems, etc. It may seem daunting but I PROMISE that when you take it step by step, its easy as pie! Okay, are you ready? Lets get started. 1. Get ready to cut your binding. 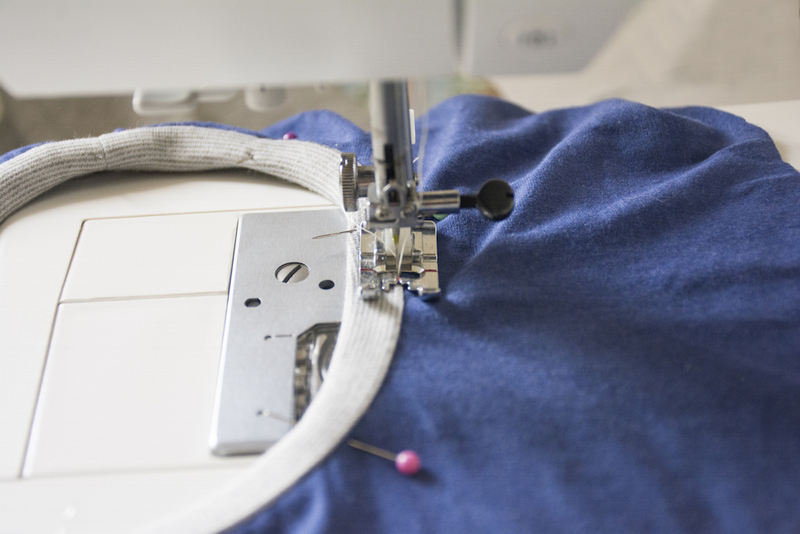 The first thing you need to do is identify the direction of the stretch on your fabric. Pull on it. Whichever way has more give will be the length of your binding. 2. Find the length of your binding. Your binding needs to be a little bit shorter than the opening that you are sewing it to. This prevents it from gaping or ruffling when you sew it in. I find that making your binding 90% as long as the opening works great. So measure your opening, multiply it by .9 and add 1" for a seam allowance. 3. Find the width of your binding. To find the width that you will need you must first decide how wide you want your binding. Say you want something kind of small like 3/8" (that is what is pictured in this tutorial). Multiply 3/8 x 4 (1 1/2"). That is your width! 4. Cut out your binding. Using the length you found in step 2 and the width from step 3, cut out your binding making sure that the length runs along the stretchiest direction of your fabric. 5. 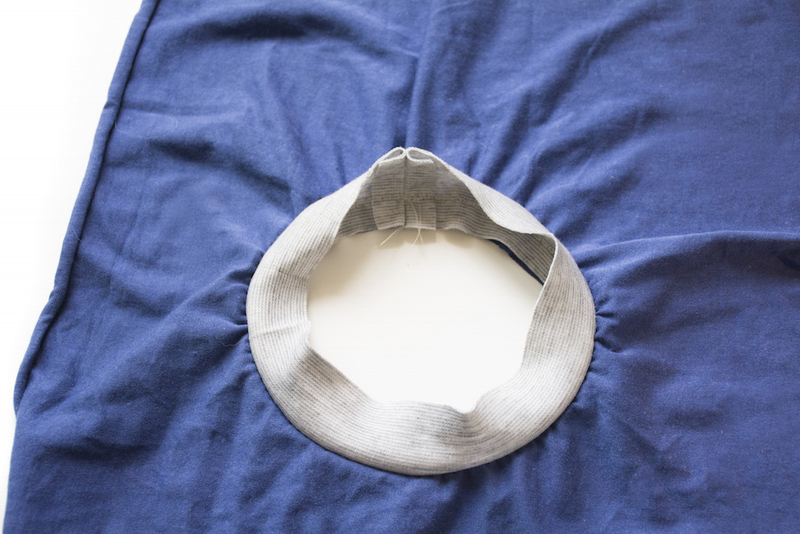 Sew your binding into a loop. You gave yourself 1" seam allowance, so stitch it 1/2" from the edge. 7. Wrap it around. You're almost done! Press your facing down and wrap it around to the wrong side pinning it in place. Be sure to pin it down far enough so that when you stitch on the top you will catch it. 8. Finish it off! Stitch around the top right on the edge of your binding. Slow and steady wins the race on this step, so take your time. When you're done press it out flat and admire your handy work!